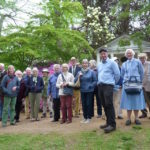 On our final excursion of 2017, twenty-five members visited Scotney Castle in Lamberhurst on an unusually warm, sunny day in October. 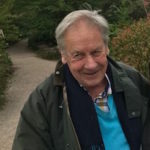 We were met by three guides at the ticket office and were led first to Bastion View to marvel at the garden vista set before us, dominated by the ruins of the original twelfth-century, moated castle; behind us was the ‘new house’ built in 1837 for Edward Hussey III. The gardens comprise 38 acres of trees and shrubs including many planted after the devastation of the 1987 storm. 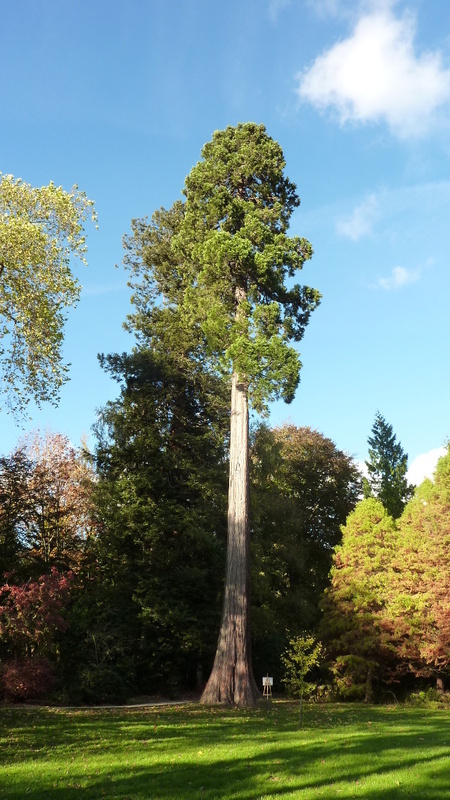 Additionally, survivors of the storm included a Wellingtonia, planted in 1857; a magnificent Beech; two 350-year-old limes (the remains of an avenue blighted by the storm); a tall tulip tree and a group of evergreen conifers including an unusual, tall, Wellingonia exhibiting an un-branched trunk to over 40 feet. 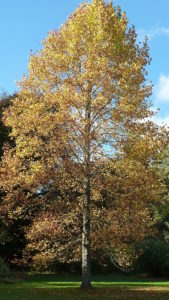 In a sheltered corner of the valley floor we also found a massive Liquidambar styraciflua showing some superb autumn colours. We were impressed by a shelter belt of Rhododendron pontificum forming an effective barrier to a group of saplings trees including a Wellingtonia and two Quercus coccinia. Perhaps the most outstanding tree, in the view of a number of members, was a tall, stately, perfectly-shaped Tulip tree planted after the 1987 storm.